Range of acoustic guitars in the Russian music stores are extremely high. The novice guitarist just dazzled. In a regular store, you can consult with a shop assistant. Those who are going to buy the tool via the Internet store, it is best to start to get acquainted with the peculiarities of different brands. Perhaps the Japanese firm Yamaha is the most popular manufacturer of musical instruments. Flute, guitar, drums and more can be found in any music store. Guitar with this brand is usually quite good due to the fact that the manufacturer uses good wood, and besides, the material is selected manually. Add to this truly Japanese thoroughness – and you will realize that the love and respect of musicians, the firm has won no accident. A good reputation are not only guitar, but wind instruments. Guitar with this brand can be found in the stores quite often. This is an old firm with a solid reputation. 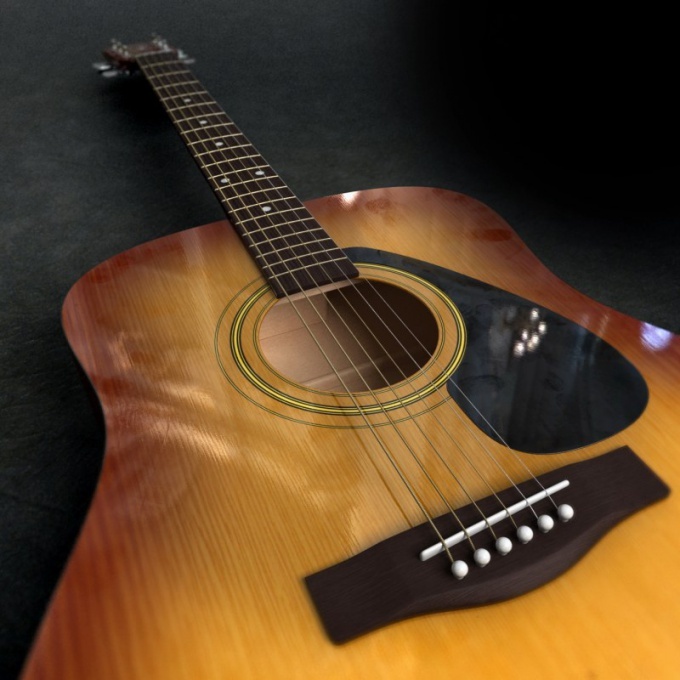 However, Ibanez are a few tools in higher demand than acoustic, especially popular bass guitars, but acoustics, the manufacturer produces a good. If you are just beginning to learn to play the tool will not find. Ibanez guitars is made from mahogany and rubber most often rosewood. So the guitar not only sounds and looks great. Gibson is an internationally recognized guitar brand. The company produces instruments for professionals, and that Gibson guitars are most in demand stars. These tools are extremely rich sound. In addition, according to musicians, to play them very convenient. Guitar Epiphon also enjoy a good reputation. The firm is a subsidiary of the famous company Gibson guitar Corporation. Phonics with the brand Epiphon no worse instruments issued by the parent company, but is much cheaper. These guitars are made from quality materials, they are extremely comfortable and sound good. Good and electric guitar from this company. Very suitable for beginners and guitar company Squire. The case is of particular strength, but at the same time, the guitar sounds good. The products of this company positioned in the global market of musical instruments intended for newbies. This guitar is just perfect pupil music school. Moreover, it is expensive. In stores, you can find guitars from other manufacturers – Japanese, Korean, canadian. Recently become less popular Czech and German guitars, once a favorite Soviet musicians. They are available in smaller quantities, but the quality is not inferior to the best world brands. So if you see in the store (often Commission) "CR" - do not pass by, it's guaranteed to be a good tool. And, of course, there is always the possibility to order a guitar master with the reputation. Not always custom-made guitar would cost more than the one in the store.